What makes something instantly look old, ugly and damaged? The simple answer: rust. It comes in many colors, and your home – along with every other home in your neighborhood – have many things, both on the inside and on the outside, that are susceptible to rust. You’ve seen it. 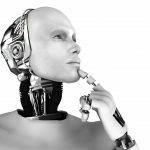 And you may already have many rusted objects, both inside and outside, staring right back at you; as you’re probably scratching your head in confusion – dumbfounded over how your belongings became rusted to begin with, and now unsure what to do. Rust is not attractive; making the object look decayed, with deadly bacteria skimming the surface. 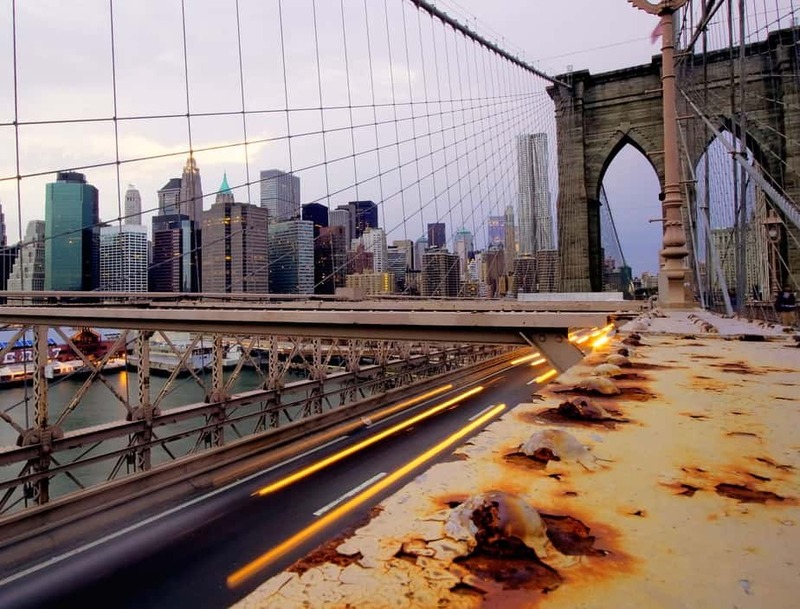 And beyond aesthetics, rust can destroy a particle, all the way to the largest bridge or building! What’s more, rust can turn into a safety concern if left untreated. Imagine rusted water pipes. They can affect the quality of water that you’re drinking, as well as the showers that you take; thus, leading to sickness and/or skin irritation. Another example: rusted bolts and screws in cars and appliances. A broken or loosened screw can lead to a malfunction, or pieces of an object becoming detached. Therefore, you can imagine the danger here; barreling down a highway at 70 miles per hour. Yikes! It’s clear that rust is problematic and will leave a negative rippling affect over whatever it forms on without any mercy. Thus, the formation of rust may be a fascinating natural occurrence, yet, it’s something that we all would like to avoid at all costs. What inside your Home is susceptible to rust? Knowing that no one is immune from rust, it’s important to note what inside of your home is susceptible to rust. The list is long and includes everything from pipes, drains, railings, fence posts, utensils, pans, metallic furniture, tools, cars, screws, appliances, and much more. Thus, it’s clear that most of your belongings can be affected, which can be frightening! 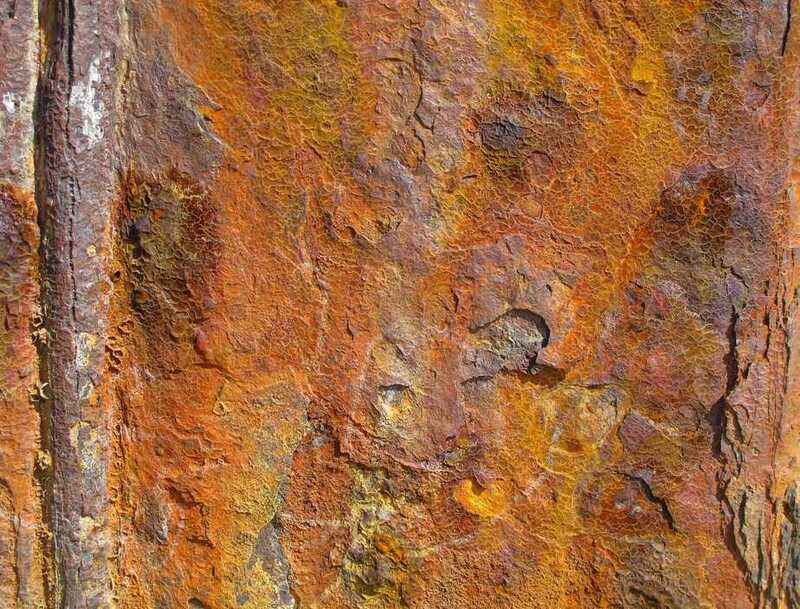 Rust, which is the common used term for corrosion of iron and its alloys, is a natural phenomenon. It is a deterioration of these types of materials, caused by certain environmental conditions and interactions. The conditions that are necessary to lead to the formation of rust include: a metallic surface, moisture, and an oxidizing agent, which is known as an electron acceptor. With these conditions all existing – common inside and outside of homes – rust becomes unavoidable and can run rampant if not kept under control. Let us first begin by trying to understand what rust is in greater detail. As we now know, rust is iron decay, and it can happen anywhere where metal exists – whether it’s a particle or a large bridge. When iron comes into contact with water, and with the presence or addition of oxygen, the combination leads to oxidization. Oxidization then leads to the infamous reddish color that consumes the iron; as an example of rust. In addition, the oxidization process, where iron combines with oxygen and iron oxide forms, the result leads to the iron oxide swelling up and sometimes flaking. 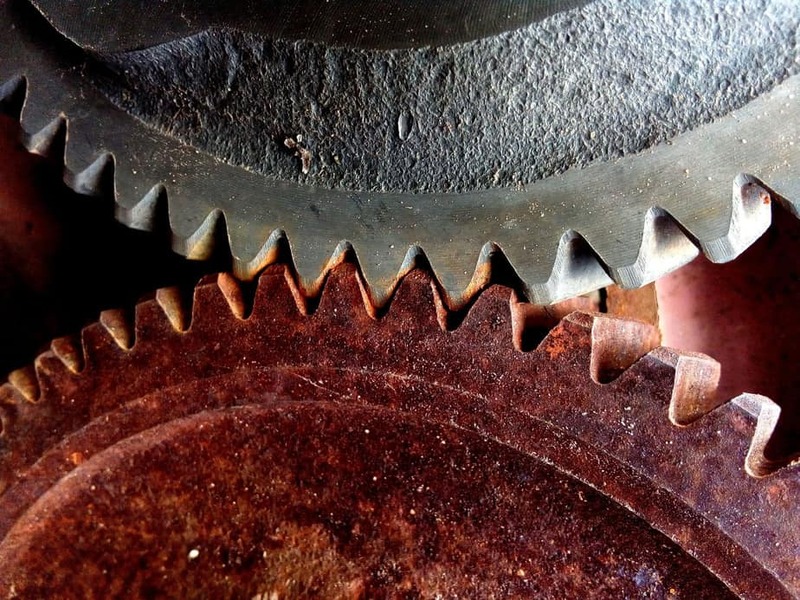 Yet, if too much rust builds up over a local area, the buildup may create enough force to break two joined pieces; this break off is referred to as “rust smacking”. Pictured below is electrochemical corrosion of iron. The corrosion typically starts where the metal is under the most stress, which is more times than not where there is a bend or weld, or where the metal is limited to air exposure. For the latter, imagine two pieces of metal joined together under a paint film that is weakly adhered. As a result, the metal ions dissolve in the formed moisture film and then the electrons move locations, where they are taken up by a depolarizer. This is displayed and explained in the diagram. Now, in the formation of rust, the source causing the rust is not limited to over exposure of oxygen alone. Even when there is little oxygen, rust can form; and in these instances, the color of rust becomes blackish. There are many other sources in the formation of rust that we will cover in greater detail later; learning what triggers the distinct types of rust. Additionally, we will learn more about what to look for in identifying ways in avoiding rust formation in the initial stages where the conditions for rust exist. Again, these discolorations on metal can be your first sign that something is not right, and your attention to prevent further damage is immediately needed. We already learned that rust affects objects in more than just one way; and the impact is not only aesthetic. Rust is a decay, and this decay breaks down and changes the shape of a metal, causing deformations. The metal then begins to change shape, and the object may no longer be able to do what it was designed to do. Think of a car exhaust pipe that can no longer efficiently exhaust dangerous car fumes, because the pipe has changed shape due to rust. This will certainly damage the car. Furthermore, this decay can then become an even greater issue, wreaking havoc on any material it comes into contact with; similar to a virus that grows uncontrollably inside of a body. As part of an internal combustion engine, below are the piston walls of a car that have rusted. If the cylinder walls are not properly cleaned, then anything trapped in the ring land space will carburize and possibly get stuck and trap the ring, and scuff the cylinder wall. 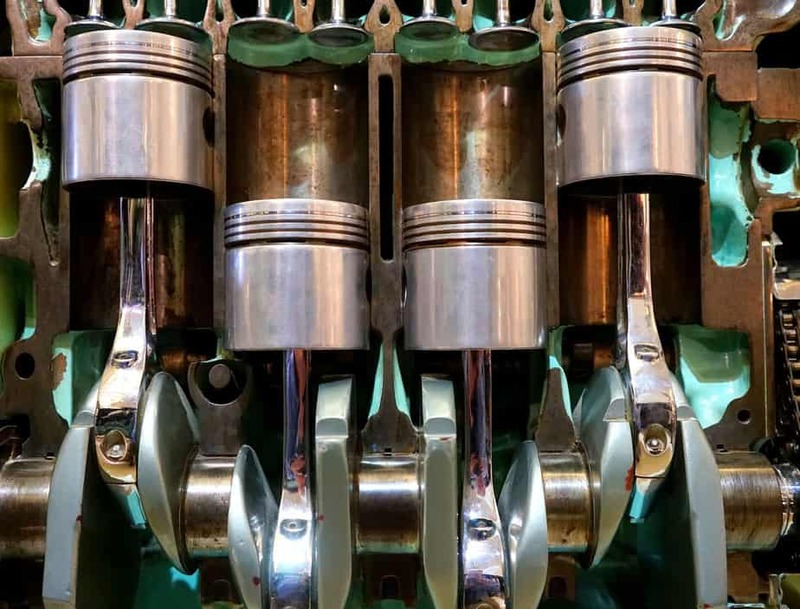 The pistons are a critical component of a car engine, and even a little rust and then tiny holes can cause very expensive damage, since the pistons and rings slide up and down against the cylinder walls as the motor is running typically thousands of RPMs. So, it’s important to keep an eye out for what’s under the hood of your car, especially if you’re in a very wet or extreme climate and your car is always parked outside. Thus, rust is not only a cosmetic problem, but it also brings with it a multitude of other unwanted issues. We learned about a few of these issues, but another important problem that we have yet to discuss – that should be avoided – is rust formation inside of objects. Imagine the human body – it may seem completely healthy and fit on the outside – yet, on the inside, there is high blood pressure and cholesterol. Rust works in the same way as a human body. Internally formed rust will affect how something operates, like the exhaust pipe example we discussed earlier. For example, an appliance may rust from the inside, and the rust may cause an internal short circuit that may lead to the appliance no longer working – or even worse, leading to a fire. Also note: most every appliance in the kitchen is near water, and if a protective seal is broken, or leaks from inside of the appliance, water can easily get inside the metallic components of that appliance and can cause irreparable damage. Cause: Red rust forms from exposure to high levels of oxygen and water, combined in many instances with a contaminate; such as salt. Pictured below, we can see the great contrast between a rusted wheel and a non-rusted wheel. The rust not only has ruined the aesthetics of the bottom wheel, but mechanically the wheels will not turn as good since the tooth wheels have become brittle and weak from the rust. Notes: Typically red rust is atmospheric; since signs of rust run do not exist on the metallic surface where the rust has formed. Atmospheric rust is the deterioration of a material due to reactions with the atmosphere surrounding the material. And, red rust typically forms in very corrosive environments. As a result, the rust is uniform on the surface it forms over. Cause: Brown rust forms from iron (III) oxides; where the environment is high in oxygen but low in moisture. Notes: This rust is more than likely atmospheric; forming because of water and oxygen in the atmosphere. The rust has a reddish-brown crusty look on metallic surfaces. Brown rust is not uniform over a metallic surface, rather localized, and appears in spots or only in certain areas over a surface. Thus, brown rust is often the result of some type of contaminate on the surface of the metal; sourced from the manufacturing process of the metal. For example, the surrounding atmosphere in the manufacturing process of a given material may not have been ideally set. Cause: Yellow rust forms from iron (III) oxides that are highly soluble iron oxides. This rust forms typically in very high moisture areas; such as places where there is standing water that has been present for a long time. You may see this yellow rust in damp areas inside and outside of your house, where water may leak, moisture builds up, or simply an area that is exposed to the outdoor elements. Notes: Yellow rust is visible in areas of metallic surfaces where the rust can run and drip. This dripping action is known as “solvated rust”. Cause: Black rust forms from iron (III) oxides in an environment where very little oxygen and moisture is present. Typically, the rust forms when the surface of a material is covered, and as a result, oxygen is limited from reaching the material’s surface. 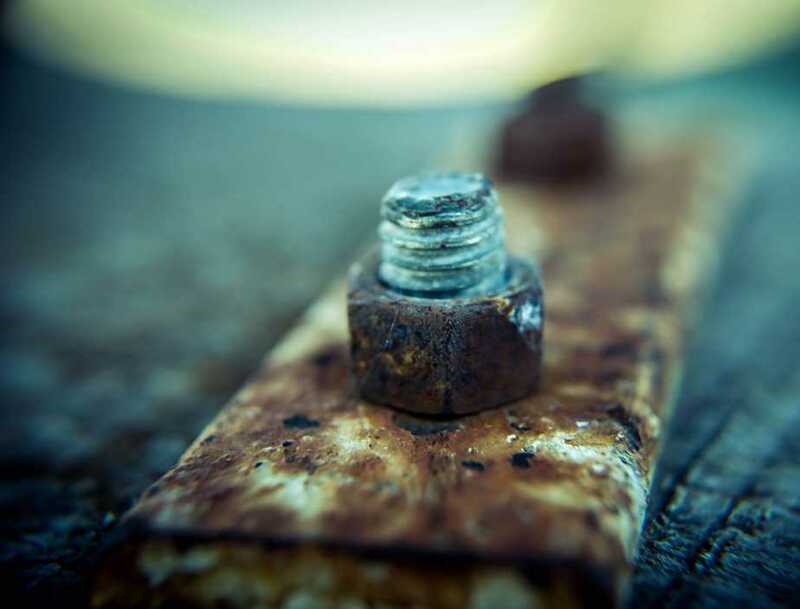 Similar to the black rusted bolt below, you can find black rust in places where you have improperly stored something for ages, and there’s a lack of oxygen there. Think of nook and crannies in your garage and attic. Notes: Black rust visually looks very thin; like a black stain, and it is a much more stable form of rust. Meaning, it does not rapidly spread like a virus. Rather, it’s more of a local rust that forms wherever the material is covered over the surface, thus limiting oxygen to that area. It’s very important to spot rust before it’s too late and the entire object is left damaged and unusable. When rust is spotted early enough, the situation can be remedied and the object preserved. By simply changing the object’s environment, it is one way the object can be protected. When an object is covered, it will not receive an adequate amount of oxygen, and as a result it will rust. To remedy this issue, you can remove the cover and allow oxygen to get through to the object in order to prevent corrosion. Now, the first step in preventing rust formation is knowing where to look. Thus, we are going to go over a list of areas where rust is likely to form. Be sure to keep an eye out over these areas in order to catch any rust formation; always remaining a step ahead. Most typically do not have heating and cooling vents. Therefore, the atmosphere inside is not ideal for rust prevention. In extreme hot and cold seasons, moisture can build up inside as well. Additionally, most cram anything and everything into their garages; in all nooks and crannies, where something probably should not ideally be stored. This is a recipe for disaster! Thus, anything that is prone to rust and is valuable to you, should not be stored in the garage; especially if it’s crammed into a box, because there will be little oxygen inside. 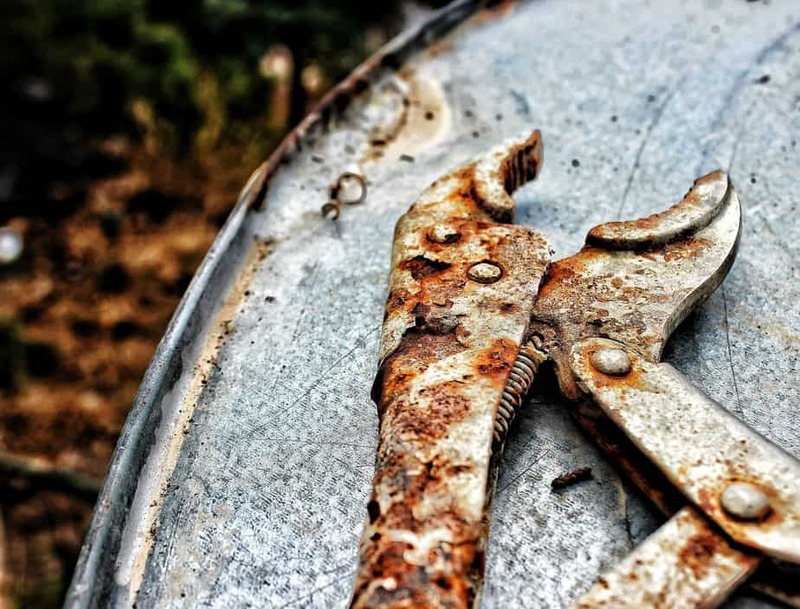 This goes for tools as well; which usually are stored inside of a toolbox – and if there is water dripping inside, or moisture is building up on the outside, rust may likely form over the tools. Like a garage, these are environments where objects are prone to rust because of the lack of heating and cooling vents. Thus, again, be careful not to place anything that is of value to you inside of the basement and/or attic without a watchful eye. Outside objects are exposed to all weather elements – namely rain and moisture. The weather elements, thus, will lead to corrosion if the objects are not protected by a cover. Like a garage, do not keep anything that you need or is of value to you unprotected in the open atmosphere outside. Check locations where you would find any of the above items both inside and outside of your home. As well, if there happens to be a sudden leak in your house, a lot of rain outside, the air conditioning unit failing and leading to hot and humid conditions, or any other event that would instantly change the climate conditions of a given area, then that’s reason enough to check the given impacted areas in order to be on the lookout for possible rust. With that said, we’ll now go over several other preemptive measures that can be taken in order to protect objects that are prone to rust. We learned how you can be on the lookout for rust, knowing where and what to check for to halt the problem, but an even better solution is to prevent rust from forming to begin with. Thus, we’re going to learn about the different measures you can take in order to prevent rust from forming before it even becomes a problem. 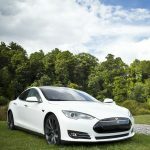 These preemptive measures will save you future expenses, as well as the hassle of having to repair and replace things. The simplest way to prevent rust from forming is to select a metal that is corrosion resistant from the start. Good metal choices would be aluminum or stainless steel. In most applications, these two metal choices will work fine and will save you future headache and money by simply not rusting even when placed in not so ideal environmental conditions. And most all things today can be found in both aluminum and stainless steel – making it easy to choose an option that works best for you. In the graph below, we see how all metals have a different level of risk for corrosion. Magnesium is clearly the most corrosive metal, while gold is the least. 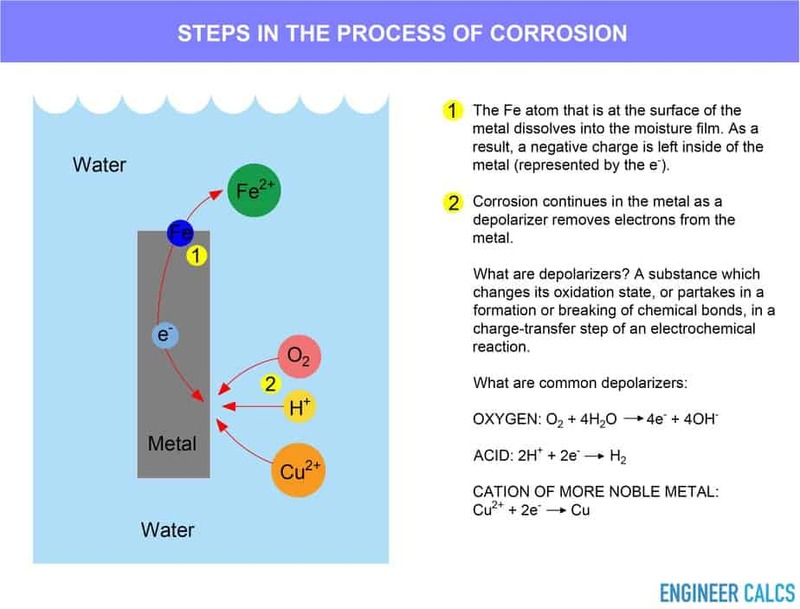 Now, to better understand the ‘why’ in this ranking of metals in being prone to corrosion, it’s important to realize that in nature metals do not occur in their pure form, apart from gold and a few other metals. Metals are commonly chemically bound to other substances in ores, for instance oxides and sulphides. To obtain the metal in pure form, energy must be expended in typically a blast furnace, to separate the metal from the other substances, such as sulphides and oxides. Pure metals have more bound energy compared to sulphides or oxides, and this represents a higher energy state. Going back to high school physics, we know all materials in the universe want to always return to their lowest energy state. Similarly, pure metals want to return to their lowest energy state, which is when they are a part of sulphides or oxides. To achieve this, a metal corrodes to return to a lower energy level. That’s why when metals corrode, the product of corrosion is typically sulphides or oxides. Using a paint coating is a cost-effective way to prevent corrosion on metals that can corrode. Paint acts as a protective layer that prevents electrochemical charge from transferring from the corrosive environment to the metal that is coated with paint. The paint becomes a shield protecting the metal from all outer elements that we learned can cause rust. An additional technique, supplemental to the application of a paint coating, is to apply a powder coating to the metal. Through the application of a powder coating technique, a dry powder is applied uniformly to the metal surface. Thereafter, the metal is heated to a high enough temperature, where the powder transforms into a uniform smooth protective layer over the metal. This protective layer then becomes an added shield to fight corrosion. The powder types that can typically be used for the coating are: acrylic, epoxy, nylon, polyester, and urethane. Below is a coating over a steel pipe. The coating adhesion was not properly done, and as a result corrosive elements become trapped underneath the coating while pressed against the steel. This accelerates the corrosion on the steel, and eventually the steel will corrode and will be compromised. This is the process of adding an additional layer of specific metal type that has a greater chance to oxidize, on top of the original metal that needs to be protected. This coating is accomplished through two main processes: cathodic protection and anodic protection. With cathodic protection, iron alloy steel is coated with zinc; through the process of galvanizing. This process works, because compared to steel, zinc is more active; thus, when zinc begins to corrode, it oxidizes and as a result the steel does not corrode. The reason why this method is known as cathodic protection is because through this process, the steel is made into the cathode of an electrochemical cell. Cathodic protection is typically used for parts of vessels that are in water, and for other objects that may also be in water, whether temporarily or not; such as ship hulls, offshore oil platforms, and steel pipelines. Let us now go a little deeper into the matter assisted with our below diagram. To protect the metal, our cathode structure, it’s important to have a continual negative electric charge maintained on the metal surface to prevent the dissolution into positive ions, which leads to corrosion. The source of electrons can either be sourced from an external direct current supply, or as we learned, can be from the corrosion of another more active metal, such as zinc, which is the setup we have in our diagram below with an included rectifier. The nearby anode bed in red is supplying the necessary electric charge to protect the pipe through a rectifier. The rectifier, direct current power source, supplies the electrons to the metal. The rectifier drives the corrosion current, which simulates the corrosion of the anode. So, the metal remains protected with the help of the anode bed and rectifier. It’s also important to know, without the rectifier, the zinc anode would be sacrificed through corrosion. Thus, the name “sacrificial metal”. However, with the help of the rectifier, the zinc anode stays in good condition since it does not give up electrons, rather only the rectifier does. Now, anodic protection is where the iron alloy steel is coated with a less active metal, such as tin. Since tin will not corrode, the steel will remain protected. 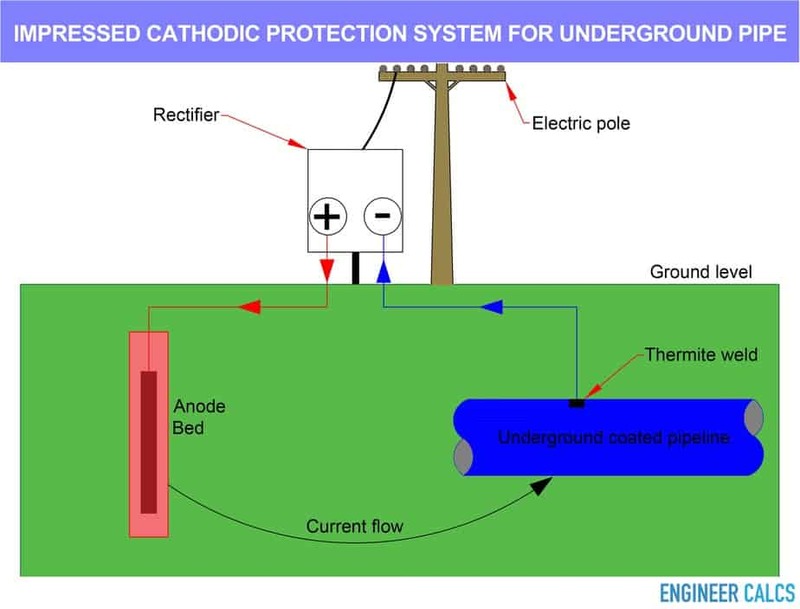 Like cathodic protection, the reason why this process is known as anodic protection is because the steel is made from an anode of an electrochemical cell through the anodic protection process. Anodic protection is typically used in environments where cathodic protection is not applicable because of very high current requirements. Thus, anodic protection works well for carbon steel storage tanks that are used to store sulfuric acid, for example. Controlling the environment, where objects that are prone to rust are located, is critical. Rust happens when a chemical reaction occurs between a metal and its surroundings – namely from the gases in the environment around the metal. Thus, common sense would have it limit the exposure of certain objects to rain, seawater, harmful gases, chlorine, and extreme high or low levels of oxygen. For example, if you have a lot of furniture placed exposed in your backyard, and you have rainy seasons, then it would be prudent to purchase a cover for your outdoor furniture; or, better yet, move your furniture indoors somewhere, where it is dry and you have better temperature control. You do not want your furniture exposed to outdoor elements – especially heavy rain. Corrosion inhibitors are certain chemicals that react in a certain way on the surface of metals, or with the environment that the metal resides in. The reaction helps limit the electrochemical reactions, which is what leads to corrosion. Corrosion inhibitors are applied to the surface of a metal, and like a typical protective coating, they will form a protective coating themselves on the surface of the object. The application of corrosion inhibitors onto a surface is done through a process called passivation. Through passivation, a very light coat of protective material coats the metal that needs protection. The coat is typically a metal oxide. This coat is then directly impacted by the pH of the temperature in the environment and any surrounding chemicals in the atmosphere. Corrosion can wreak havoc on your belongings, not only leaving things looking ugly, but causing all sorts of damage and even becoming a safety risk. The good thing, however, is that we know what causes corrosion, and what we can do to avoid it by taking proper precautions. Protecting your belongings is not difficult, yet, you do need to be attentive to what needs protection and when. With proper care, you can avoid rust and save a lot of money by not having to constantly clean and repair things; even avoid purchasing replacement items when the damage is beyond repair. Rust is a part of nature, but with gained knowledge, we can properly prevent and combat the effects caused. At the same time, we can still be fascinated by how rust forms – given different environmental scenarios. Thus, as long as rust doesn’t form in our homes, we can appreciate this phenomenon brought to you by nature.